The days 11 and 12 of November 2014 I was invited to the forum «International Mobility of Young Artists». It took place in Milan (Italy) in la Fabrica de Vapore. Its objective was to reflect on the current meaning of artistic mobility and on its future in Italy and in the international arena. The debate analyzed the definition of mobility, its history and how it is performed and supported in Italy and abroad. 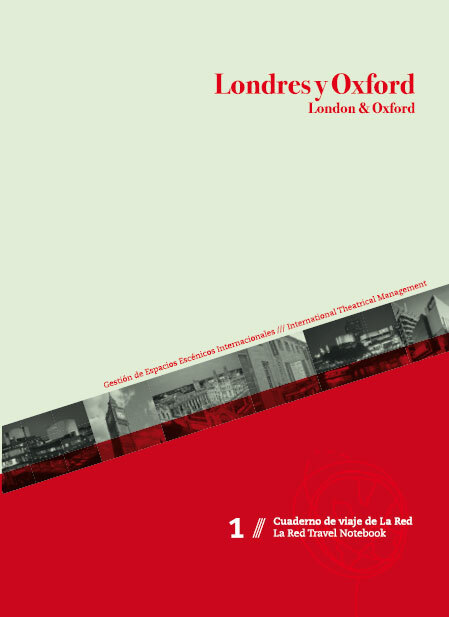 I wrote this report four years ago as a result of the training trip I curated for the “Spanish Network of Public Theatres” to London and Oxford. In this trip, around 30 Spanish directors of public theatres traveled to London to meet English colleagues, exchanges information with them, being familiar with their projects and visits the spaces. The report is written both in Spanish and in English and cover main aspects of cultural policies in England, description of the English model of management of theatres and a complete review of the theatres visited. 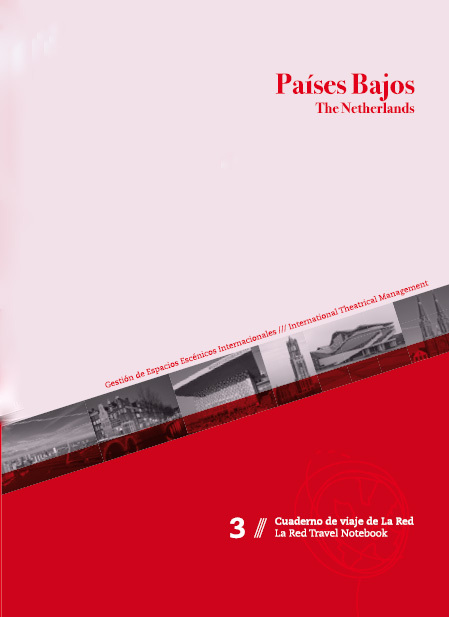 Just published the third volume devoted to the Netherlands in the collection «La Red Travel Notebooks». This collection began with London and Berlin, is the result of the training trips I’ve been designing annually for the Spanish Network of Public Theatres. Its aim is to present models and best practices in managing theatres and concert halls in Europe. In addition, in each of the volumes is an immersion in systems of cultural policies that give its support to public and subsidized theatres. The new volume includes a first part of cultural policy and the Dutch system of performing arts exhibition. The second section describes the most innovative venues of Holland from the point of view of management, the artistic project and its architecture. Among others presents the Rotterdamse Schouwburg, Rotterdam Zuidplein Theater, Theaters Tilburg, Stadsschouwburg Amsterdam and Het Muziektheater aan’tlj Muziekgebouw, these last two important concert halls in Amsterdam. All theaters show the main figures for its operation: budgets, audiences, number of representations, etc. The three volumes are an indispensable collection if you want to learn the differences between the various management models of subsidized European theatres. Also provide a perfect tool for catching up on trends and innovations that pioneered performance spaces of Europe are currently developing. These days I am in body and soul dedicated to mov-s/madrid2010. Visit the blog where I publish all relevant information. And if you want to give you a tour by mov-s/madrid from 10 to 13 June at Reina Sofía Museum, theatres and arts centres of Madrid.